Q1. Do I use this in place of toner? A. Yes and no. While the mandelic water is not a toner, depending on if you feel that your skin needs the extra layer of hydration and protection that a toner provides, you can choose to use the mandelic water during the step you would toner, and skip toner as a whole. This is because the mandelic water, while it’s considered an exfoliator, works to also prep the skin as a toner would for skincare products applied afterwards. Q2. 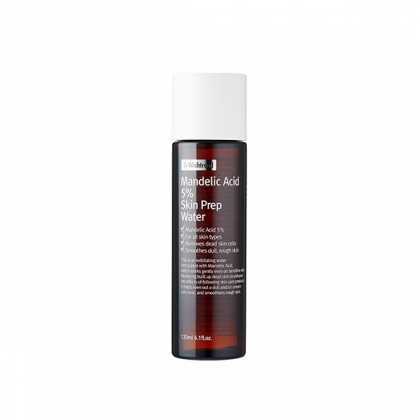 What’s the main function of the Mandelic Acid 5% Skin Prep Water? A. 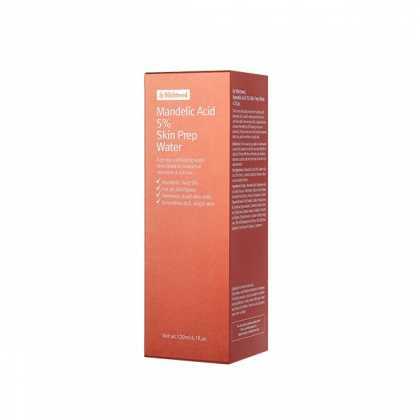 You can think of the Mandelic Acid 5% Skin Prep Water as an all-in-one face exfoliator. It not only improves the skin’s texture, brighten the skin tone and nourish the complexion.It exfoliates away dead skin for a more radiant appearance. The mandelic water also carries anti-inflammatory, antibacterial properties, making it effective on acne as well. Q3. When/How many times can i use this? Q4. How should I store? A. please keep it in a fridge or dark, cool and dry place in the room. For the best effect, use it all as soon as possible after opening the bottle. Q5. What products should I stay away from when using this? A. 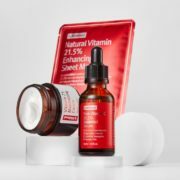 We recommend you don’t use this with other products that have exfoliating ingredients such as retinol, high concentration of vitamin C, AHA, BHA, and more. It may irritate your skin. Recommended using toner, serum and essence, and moisturizer after applying mandelic acid 5% prep water. Q6. Is it suitable for teenager and pregnant woman? A. For the teenager, Yes because It is produced based on reliable ingredients. so it can be used regardless of age / gender except for specific constitution. But We’d like to visit your own doctor with list of ingredients for pregnant woman for the more detailed diagnosis reflecting personal conditions. 1) Before the toner, gently wipe and pat the product on your face using a cotton pad. 3) For morning use, please make sure to apply sun-lotion after using the product. 4) We recommend not to use this product with other facial scrubs, AHA/BHA, and Vitamin C products. Mild yet effective chemical exfoliater. This is the best product if you have bumpy skin like i had, the physical exfoliator only remove dead skin cells from above surface, but it removes them from within, from my teenage i had bummy skin, but after using it my skin became even n soft Thank you beauty barn. Really good exfoliating product. Although it stings a little on first use my skin got used to it by the 3rd or 4th time. Sensitive skin types might want to be wary but a great product for acne care and pore care! I have an oily and acne prone skin so I decided to try this one out. I’m reviewing as it’s been 2 weeks since I started using mandelic acid and so far I’m seeing good results, acne scars has gradually reduced N that’s definitely an improvement and I’m so…so… loving it. Very effective product gently exfoliate my skin & improve overall texture of my skin I use this product a lot in summers because of watery texture & how beautifully it brighten my skin by removing fine dust & dead skin cells highly recommend for sensitive skin !!! After a lot of research into AHA and BHA I finally decided to give this one a try. It stings a bit whenever i apply it but it is bearable and doesn’t cause redness or anything of that sort. 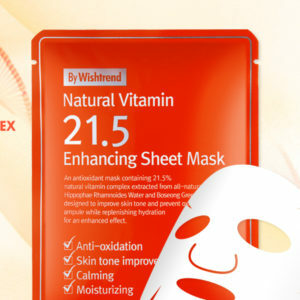 My skin feels alot smoother the next day after i have used this. I usually use it twice a week followed by the Klairs Blue Claming Cream. A good alternative to harsh scrubs out there. After trying many exfoliating products, this is the only one that doesnt break me out. But does the job of exfoliating prefectly. Plus point- contains panthenol and licorice making it even more soothing for skin…highly recommend. I got it for the little bumpy texture of my forehead . It worked amazing in smoothing it out with gradual use. Going to order my second bottle. 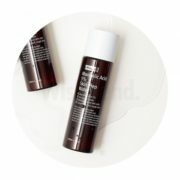 This is the first Acid exfoliating product I had tried. It never irritated my sensitive skin. 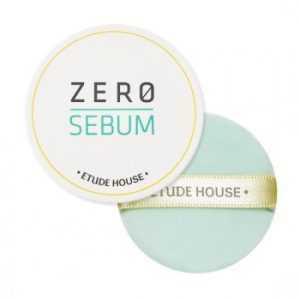 I was using it 1-2 times a week and my skin would look soft, bright and have less breakouts (the small zits we get). I am definitely gonna repurchase this in the future. 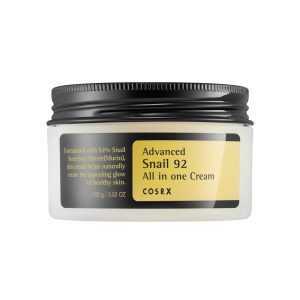 The Advanced Snail 92 All In One Cream is a very nourishing and moisturizing cream that endows energy and beauty to the skin with its 92% pure snail secretion filtrate, gathered from living Korean snail. 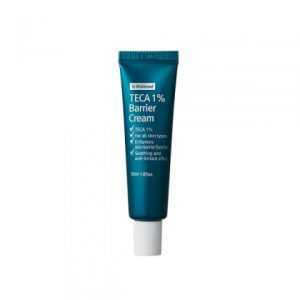 The cream is safe for usage on the skin, consisting of excellent skin-activation components that treat irritated skin and improve uneven skin tone. It’s suitable for all skin types. 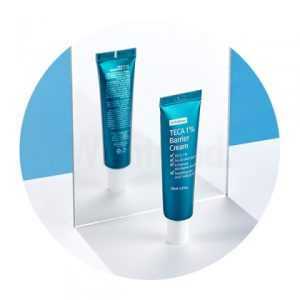 For best results, use with Advanced Snail 96 Mucin Power Essence.